This isn’t meant to be a guide to Christmas gift ideas as such (for that, let me direct you to Kim’s excellent series of posts over on Reading Matters). It’s more that I’ve read a few books lately which, it struck me, would make good Christmas presents; so I thought I’d put them together into a blog post, and add in some other titles that I reviewed earlier in the year. This huge, lavishly illustrated collection of letters (based on the website of the same name) is an ideal gift for anyone interested in the personal side of history, or who likes letters and books as objects. Read more about it in my original review. This is an illustrated travelogue of significant places in the history of the English language in Britain. I haven’t seen the finished book, as I read a proof version when I reviewed it; but I’ve no doubt that it will look beautiful. Andrew Davidson’s grandfather Fred was a medical officer of the 1st battalion Cameronians during World War One. Although photography was banned on the front line, Fred and several other officers had cameras with them, and took photographs of their lives at war. Davidson uses these images to tell the story of the 1st Cameronians during the year that Fred was a serving officer. It’s a vivid and intimate account; there’s a real sense of the war gradually coalescing around the men as they march through France. Though Davidson refers to the photographs, he doesn’t caption them, which adds to the sense of this being an unfolding story for the men involved. Fred’s War gives a personal portrait of the conflict which is not quite like anything I’ve come across before. Here’s another book based around personal wartime accounts, this time the diaries of Elisa Segrave’s mother Anne, who was stationed at Bletchley Park during World War Two. Again, it’s a fascinating glimpse into history, seeing Anne move from her privileged girlhood world into her wartime career; but this is Elisa’s story as much as Anne’s. Segrave describes how Anne’s diaries revealed to her a side of her mother that she had never known, and enabled her perhaps to understand Anne as she had not previously been able to. This double story is what particularly intrigues about The Girl from Station X. Yes, I know: any excuse to enthuse about The Luminaries. But it is just the sort of big hardback novel that would make a great Christmas gift, especially for readers who may have been undecided about trying it out for themselves (it may take them well into the new year to read it, too). If not The Luminaries, then Donna Tartt’s The Goldfinch or Sergio de la Pava’s A Naked Singularity may also fit the bill (I have heard great things about both, but haven’t read them, so I can’t give a personal recommendation). From three long books to a much shorter one. This is a crowd-funded collection of “timeless tales for children and grown-ups alike”, written by Tim Malnick and illustrated by Katie Green. The five stories are all about characters changing their outlook on life to find a way forward, from the painter imprisoned in a bare tower room, to a bat fascinated by daylight. Malnick’s prose has the rhythms of a classic fairytale, and Green’s illustrations are gorgeous. I may not be quite the intended audience for The Crystal Mirror, but I found the book absolutely charming. Subtitled “An A-Z of Literary Remedies”, this book has suggestions for reading to help alleviate a variety of ailments. Some are quite tongue-in-cheek (David Vann’s Caribou Island as a cure for enthusiasm with DIY; Christie Malry’s Own Double-Entry by B.S. Johnson to treat fear of doing your tax return); others more serious (Wuthering Heights to cure a desire to seek vengeance; Mrs Dalloway to tackle that Monday morning feeling). But the entries are always written with wit (I especially love the entries which spoof the style of the book being recommended; my favourite is the one for House of Leaves) and enthusiasm. 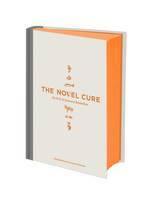 After reading The Novel Cure, or even just dipping into it, you’ll almost certainly have some new books that you want to try. Now, what’s the cure for an exponentially increasing to-read pile..?